And since the Cover Stick is around $6 verses $26...I think I'll stick with it. It's been awhile but I have also tried Make Up For Ever's Camouflage palette. But didn't use all the colors and couldn't bring myself to keep paying $38. Plus I don't have the same cash flow anymore! That makes a difference! 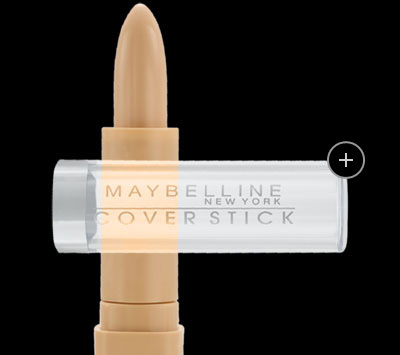 It's possible the Maybelline might be hard to beat...besides price, it's lasts a good while! So let me hear it... what's your favorite concealer? Am I missing out on one that is better? OH, I will have to give this a try! Thanks friend! Sorry this didn't work for you. I have used the same thing for years - Cover Girl Invisible Concealer. It works pretty well, and it is in a cream base. Have a good weekend. i just recently found garnier skin renew anti-dark circle roller and i LOVE it!